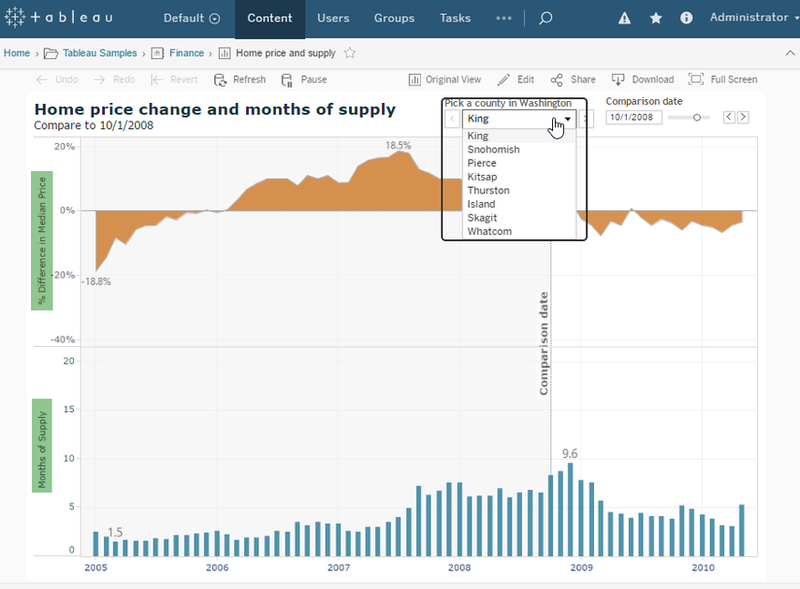 This article provides details on how to create a Metric (Dimensioned / Undimensioned) or a Report using a Tableau Plug-in as a data source. We want to use this Tableau workbook to create a Metric in MI. 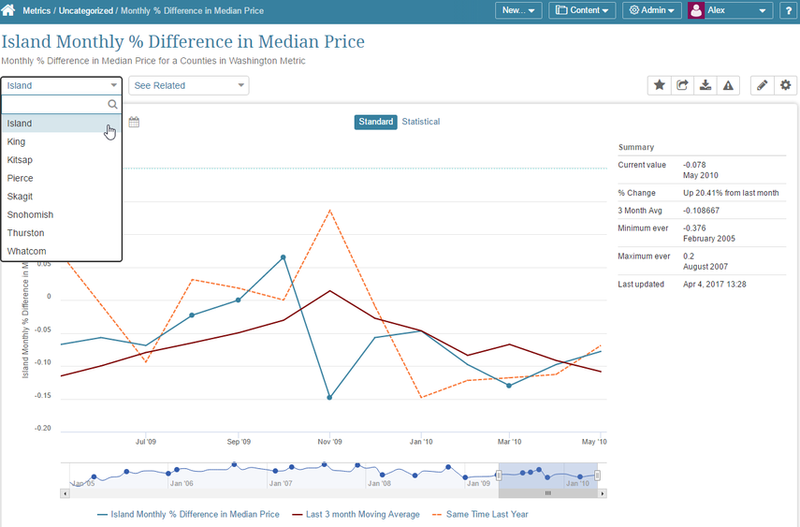 This Metric should show the difference in median price from month to month and should be dimensioned by counties the same way as on this workbook. 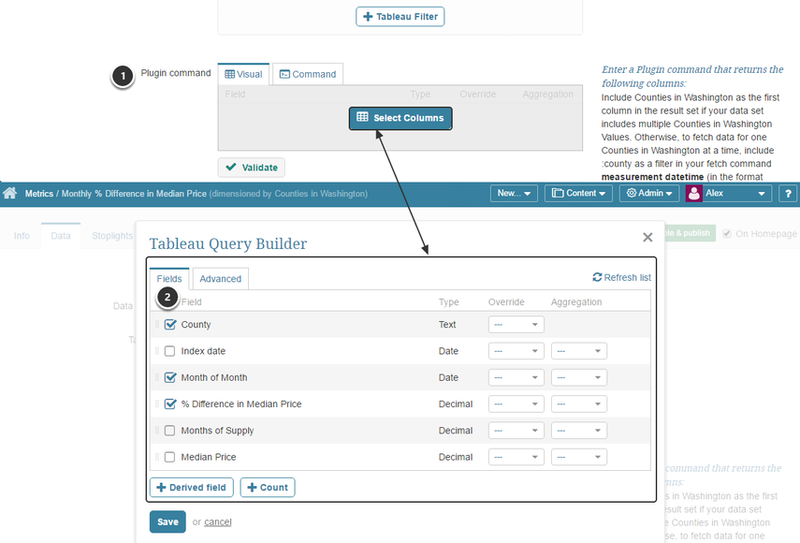 Tableau Worksheet: Define the Tableau Report to be used for creating Dimension Values in MI. Tableau plugin uses 2 level object hierarchy: [Tableau Workbook name]/ [Tableau Worksheet name]. 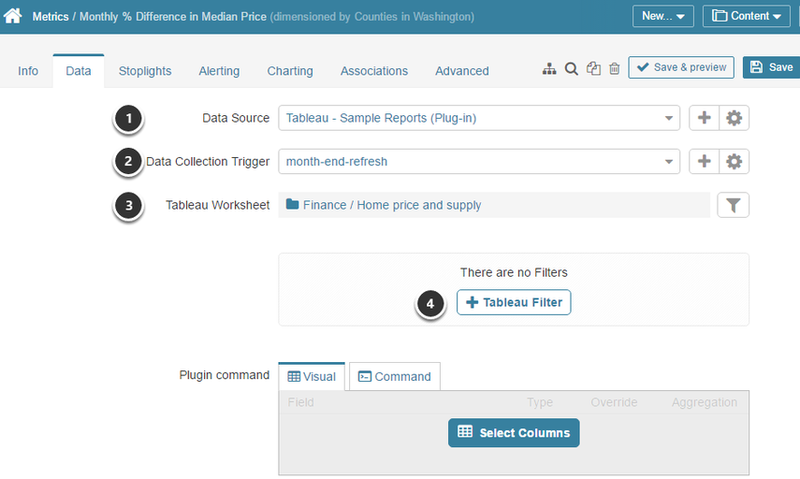 NOTE: It should be the same Tableau view you have used when creating a Dimension. NOTE: Enter the Last Measurement Time when requested. filter Using the 'filter' command you can exclude certain values or a range of values for a field. Several filering conditions can be combined by 'OR', 'AND'. NOTE: This filtering is performed by Metric Insights.